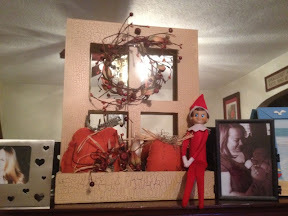 Our Ellis Army: The Happy Elf--Harry Connick, Jr.
We have a special guest staying with us for the month of December. Introducing Sgt. Twinkle Star! He is a VERY important member of Elf Recon 1st Squad 2nd Platoon for Santa. As you can see, his first appearance is in my fall decorations since the Christmas ones haven't made it out yet. His name comes from one of Tristan's favorite songs and shapes. Sgt. Star has informed me of a little about himself. His favorite Christmas cookie is triple chocolate (a dark chocolate cookie with white and semisweet chocolate chips). His favorite song is "Beautiful Star of Bethlehem" and his favorite Christmas gift of all is baby Jesus. He enjoys making Christmas treats and his favorite elf is Rudolph because he likes an underdog story. 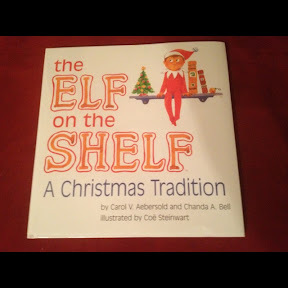 He and the other elves even have their own book! Sgt. Twinkle Star is going to be with us for many years to come.